N.B: I have a set of US measuring cups that I use for recipe such as these. A small teacup would make a fine substitute. 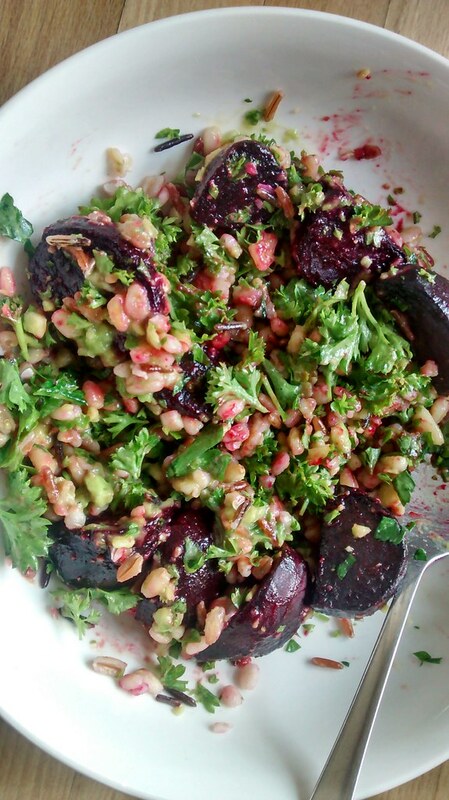 I didn't make any changes to the method, so head over to http://dishingupthedirt.com/recipes/dinner/roasted-beet-farro-salad-creamy-avocado-parsley-sauce/ for the how to! We had a little dressing left over, and found that it was very tasty spread on toast as a light lunch.